Ayodhya case mediation, Live: Supreme Court Orders Mediation In Ayodhya Case, The decades-old Ram Janmabhoomi-Babri Masjid Ayodhya title dispute case will be settled through mediation, the Supreme Court said on Friday, while constituting a three-member panel. The Supreme Court on Friday decided to refer the decades-old contentious Ram Janmabhoomi-Babri Masjid Ayodhya title dispute case for mediation, and constituted a three-member panel. The panel, to be headed by Retired Justice FM Kallifulla, will have spiritual guru Sri Sri Ravi Shankar and senior advocate Sriram Panchu on the panel. A five-judge Constitution Bench headed by Chief Justice Ranjan Gogoi on Wednesday had reserved the order after hearing various contesting parties. 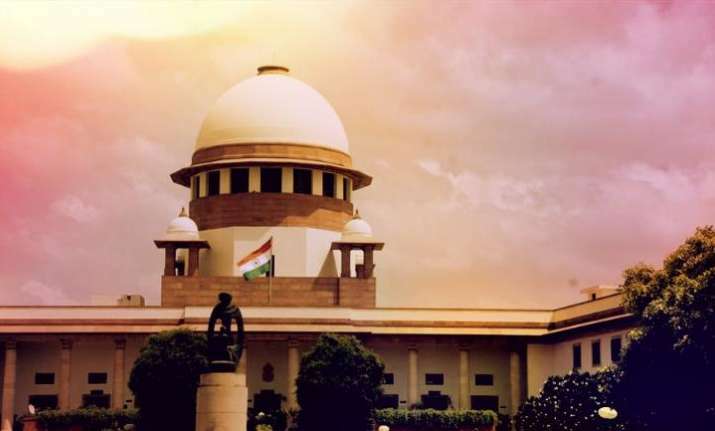 Fourteen appeals have been filed in the apex court against the 2010 Allahabad High Court judgment, delivered in four civil suits, that the 2.77-acre land in Ayodhya be partitioned equally among the three parties -- the Sunni Waqf Board, the Nirmohi Akhara and Ram Lalla. Justice (Retd) FM Ibrahim Kalifullah: I understand SC has appointed a mediation committee headed by me. I'm yet to received order copy.I can say if committee has been constituted we'll take every effort to resolve the issue amicably. AIMIM Chief Asaduddin Owaisi: Sri Sri Ravi Shankar who has been appointed a mediator had earlier made a statement 'if Muslims don't give up their claim on Ayodhya, India will become Syria.' It would've been better if SC had appointed a neutral person. Subramanian Swamy, BJP: Wonderful opportunity for Muslim community to show that they are different from Muslim communities in other parts of the world. AIMPLB member and convener of Babri Masjid Action Committee Zafaryab Jilani: We have already said that we will cooperate in the mediation. Now, whatever we have to say, we will say it to the mediation panel, not outside. Supreme judge Justice (Retried) FM Kallifulla will head panel of mediators in the Ram Janmabhoomi-Babri Masjid case. The top court has restrained the media from reporting proceedings of mediation in Ayodhya case. Supreme Court has directed in camera proceedings of mediation in Ayodhya case. The apex court has directed panel of mediators to submit its progress report on Ayodhya case within four weeks. It said mediation proceedings shall be completed within 8 weeks. The court sais "utmost confidentiality" should be maintained to ensure success of mediation proceedings. Other members of panel of mediators include Shri Shri Ravi Shankar and Sriram Panchu. SC said mediation proceedings in Ayodhya case will be held in Faizabad and process to start within a week. The top court directed panel of mediators may co-opt more members and in case of any difficulty they can inform apex court registry.